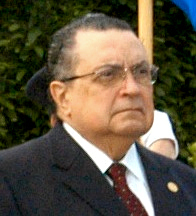 The President of Costa Rica is the head of state and government of Costa Rica. The President is elected in direct elections. He or she is elected for four years. Two Vice Presidents are elected at the same time with the President. The President appoints the Council of Ministers. Due to the abolition of the military of Costa Rica in 1948, the president is not a Commander-in-chief. Here is a table that has a list of the junta chairmen, presidents and heads of state of Costa Rica since independence from Spain and Mexico. From 1824 to 1838 Costa Rica was a state in the Federal Republic of Central America. After that it has been an independent nation. Juan Mora Fernández 1825–1833 Liberal Two successive periods; re-elected in 1829. José Rafael Gallegos 1833–1835 Conservative Resigned, Manuel Fernández Chacón and Nicolás Ulloa Soto followed as acting Heads of State. Braulio Carrillo Colina 1835–1837 Liberal First term. Manuel Aguilar Chacón 1837–1838 Liberal Deposed in a coup. Braulio Carrillo Colina 1838–1842 Liberal Second term, deposed in a coup. Francisco Morazán April–September 1842 Liberal Deposed by popular uprising; executed 15 September 1842. António Pinto Soares September 1842 Liberal Came to power in popular uprising, and quickly resigned. José María Alfaro Zamora 1842–1844 Liberal First term. Provisional. Francisco María Oreamuno Bonilla November–December 1844 Liberal Deposed in a coup. José María Alfaro Zamora 1846–1847 Liberal Second term. José Castro Madriz 8 May 1847 16 November 1849 Liberal "Founder of the Republic". José María Montealegre Fernández 14 August 1859 8 May 1863 Liberal Provisional 1859-1860. (second term) 8 May 1866 1 November 1868 Liberal Deposed in a coup d'état. Bruno Carranza Ramírez 27 April 1870 8 August 1870 Liberal Deposed in a coup d'état. Tomás Guardia Gutiérrez 10 August 1870 8 May 1876 Liberal Provisional 1870-1872. Aniceto Esquivel Sáenz 8 May 1876 30 July 1876 Liberal Deposed in a coup d'état. (second term) 11 September 1877 6 July 1882 Liberal Died in office. Saturnino Lizano Gutiérrez 6 July 1882 20 July 1882 Liberal Acting president. Próspero Fernández Oreamuno 20 July 1882 12 March 1885 Liberal Died in office. (two consecutive terms, the first incomplete) 12 March 1885 8 May 1890 Liberal Carlos Durán Cartín was acting president 1889-1890. Alfredo González Flores 8 May 1914 27 January 1917 National Republican Party Deposed by Tinoco in a coup. (first and second term) 27 January 1917 13 August 1919 Military/Partido Tinoquista Overthrown by popular uprising. (previously Vice President) 13 August 1919 2 September 1919 Military/Partido Tinoquista Forced to resign by the U.S. government. (interim president) 20 April 1948 8 May 1948 National Republican Party Former vice-president of Teodoro Picado Michalski. José Figueres Ferrer 8 May 1948 8 November 1949 National Liberation Party Came to power in civil war. Returned power to elected president after re-organizing the government. (second term) 8 May 1953 8 May 1958 National Liberation Party Presidential re-election disallowed. (third term) 8 May 1970 8 May 1974 National Liberation Party Presidential re-election disallowed. 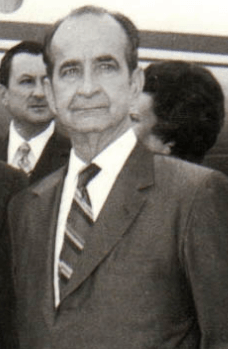 Óscar Arias 8 May 1986 8 May 1990 National Liberation Party Nobel Peace Prize winner 1987. 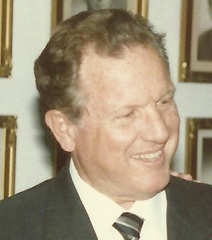 Rafael Calderón Fournier 8 May 1990 8 May 1994 Social Christian Unity Party Son of Rafael Ángel Calderón Guardia. José Figueres Olsen 8 May 1994 8 May 1998 National Liberation Party Son of José Figueres Ferrer. Abel Pacheco de la Espriella 8 May 2002 8 May 2006 Social Christian Unity Party Presidential re-election re-instated. Laura Chinchilla 8 May 2010 8 May 2014 National Liberation Party First female president (presidenta) of Costa Rica. List of Presidents of Costa Rica Facts for Kids. Kiddle Encyclopedia.